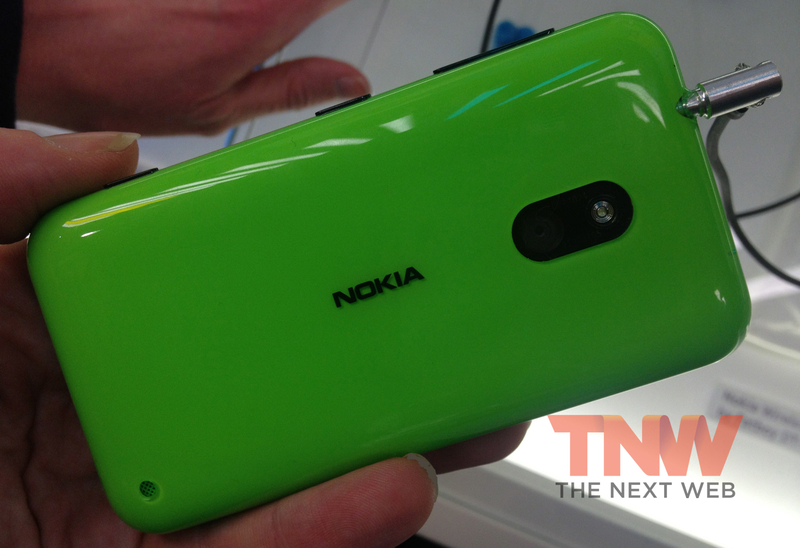 As we reported earlier, Nokia announced a new Windows Phone 8 handset, the Lumia 620, at LeWeb in Paris today. 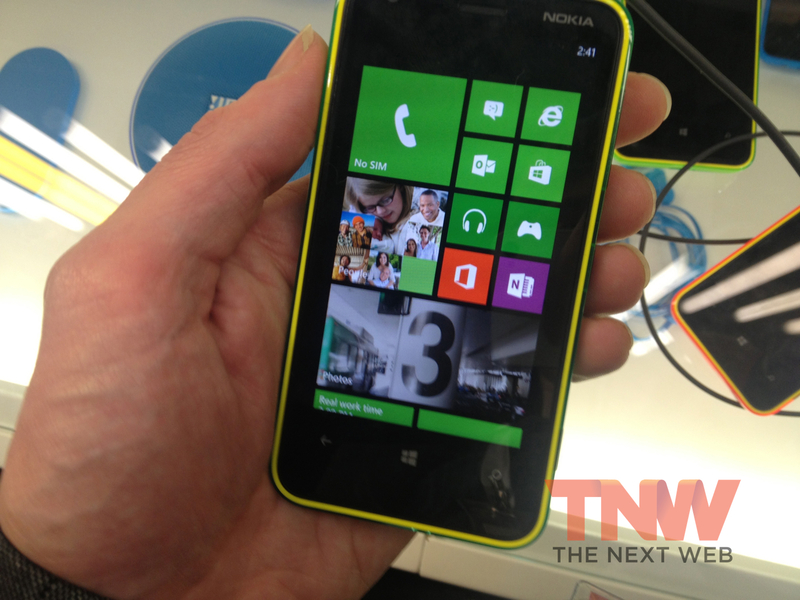 I’ve had some hands-on time with it now and my initial verdict is that while it’s probably not a device for the average The Next Web reader, it feels like a perfect fit for the key audience that Microsoft’s mobile OS targets – people who don’t necessarily consider themselves ‘smartphone users’ per se. In the hand, it feels similar to an iPhone 3G and is definitely behind the curve when it comes to smartphone design trends with its chubby profile and rounded rear. 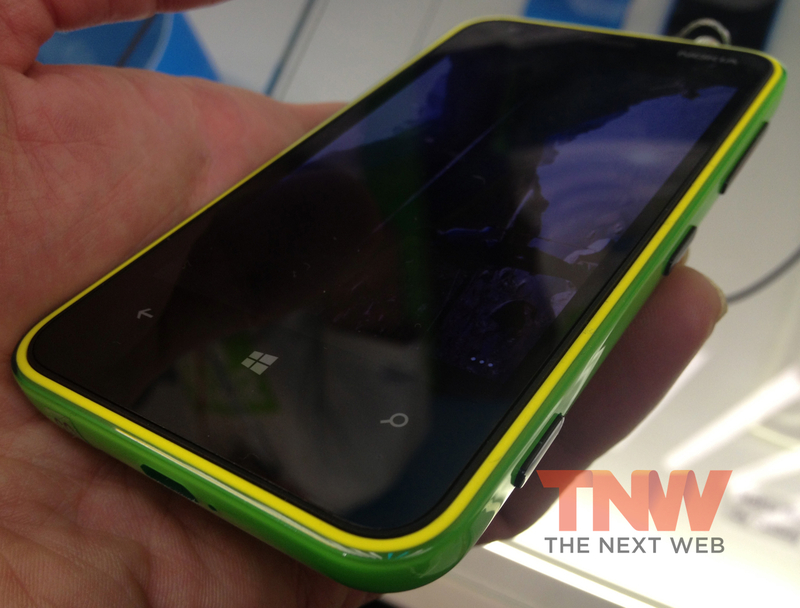 Lumia 620 owners will get a choice of covers in a variety of colors with both matte and glossy finishes. Wearing the glossy variety of cover, the phone feels particularly ‘cheap’ and unsubstantial. 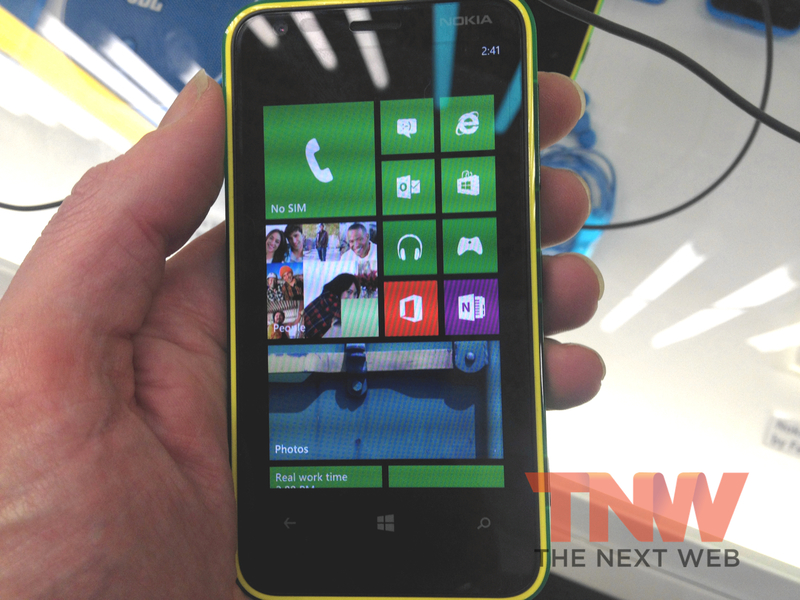 Compared to the Lumia 920, Windows Phone 8 interface feels noticeably more laggy – understandable given that it sports a 1GHz dual-core Qualcomm Snapdragon S4 processor compared to the 920’s 1.5GHz variety. That’s all only light criticism though, as this isn’t a device for people who demand a sleek and powerful smartphone. This is for those who just want to manage their life on the go without worrying about the bells, whistles and bragging rights that come with a high-end device. As one other person trying out the device said to me, “This would be perfect for my kids.” With that in mind, the $249 price point feels just about right. 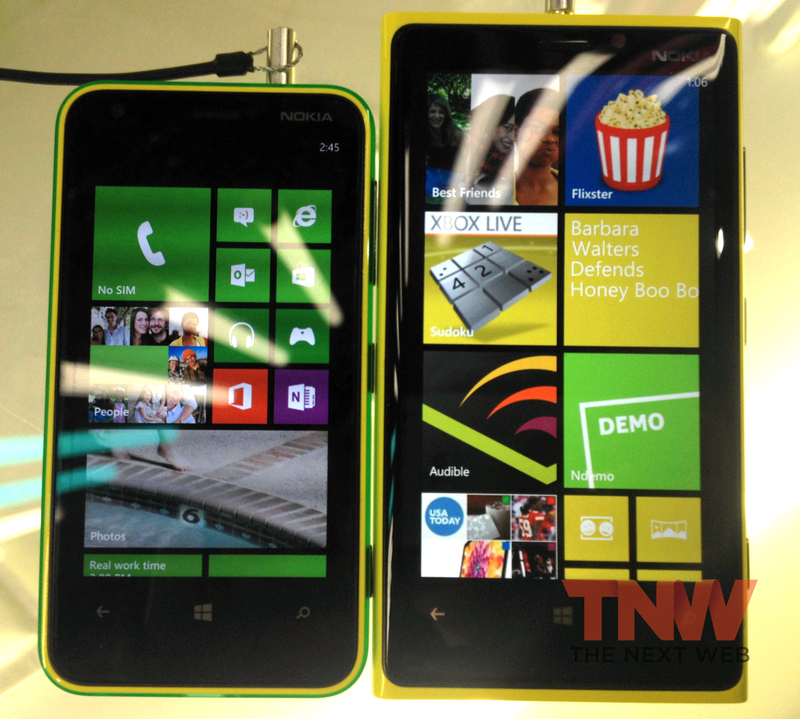 For specs, release details and price, see our earlier coverage. 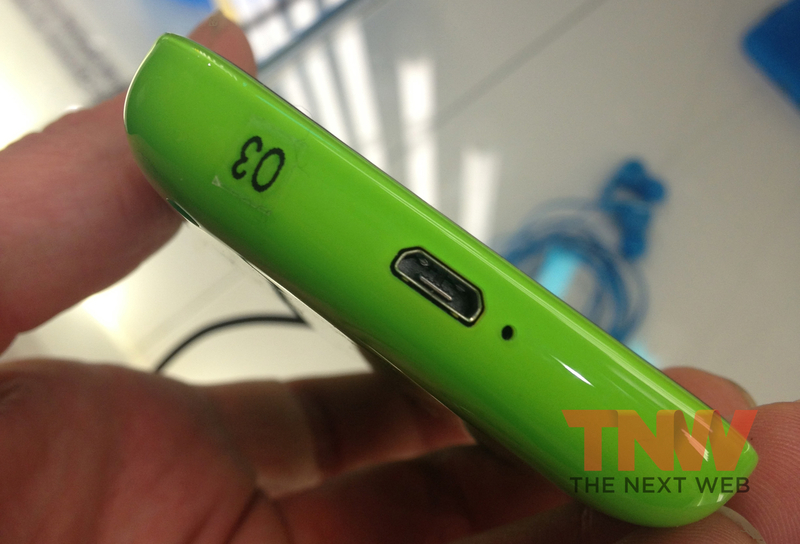 (The number on the device’s base here was just a sticker to identify it on Nokia’s stand). 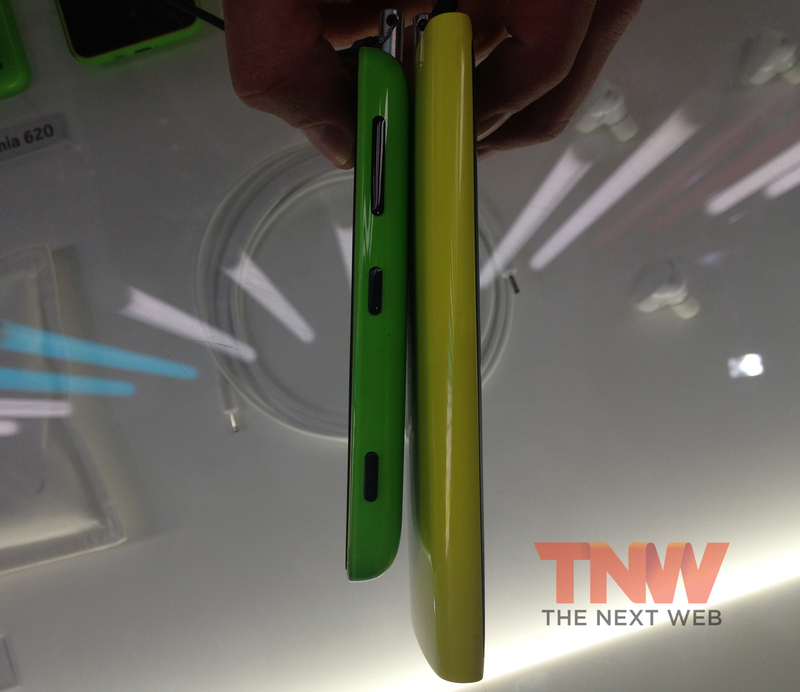 The Nokia Lumia 620, compared with the Lumia 920.